I think it's a sport for President Barack Obama to make outrageous statements like "If you've got a business -- you didn't build that. Somebody else made that happen," which he said in a recent campaign trip to Roanoke, Va.-- and then watch Republicans go predictably bananas. Yet the president struck at the heart of what makes capitalism tick -- individual freedom and personal responsibility -- without his polling numbers in the week that followed budging and his re-election probability on Intrade.com actually ticked up two and half points. We are reaching dangerous critical mass of those in our country who have enough stake in big government -- whether they are employed by it, collecting benefits from it or businesses getting favors from it -- that political protection is commanding a higher premium than freedom. Apple Inc. is now the most valuable company in the world. Its recent stock price puts its valuation at around $560 billion, more than $150 billion more than America's biggest oil company, Exxon Mobil Corp.
Fifteen years ago, in 1997, when Steve Jobs returned as CEO of Apple, the company was worth less than $3 billion, about half a percent of what it is worth today. Estimates then were that Apple was several months away from bankruptcy. John Lilly, a former Apple employee, now a Silicon Valley venture capitalist, blogged after Jobs' death about a talk that Jobs gave to employees shortly after his return. Apple was losing money, its stock was languishing, there were rumors about the company being acquired and Jobs was asked about a suggestion that the company should just shut down. He concluded his response with: "If you want to make Apple great again, let's get going. If not, get the hell out." The blogger continues, "I think it's not an overstatement to say that just about everyone in the room loved him at that point, would have followed him off a cliff if that's where he led." 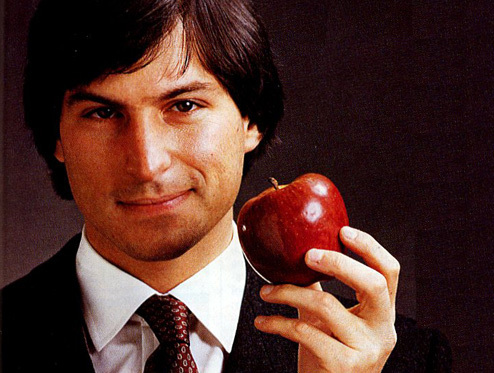 In the following year, according to the account in "Steve Jobs," Walter Isaacson's book about the entrepreneur, 3,000 employees were laid off and Jobs reviewed Apple's entire product line, pruning it from 15 products to four. Now Apple is the most valuable company in the world, with innovative products no one would have dreamed of in 1997. In September 1997, Apple had 8,437 full-time employees. Today, according to its website, Apple has 70,000 employees worldwide, of which 47,000 are in the United States. The company estimates that 514,000 jobs have been created as a result of employment at Apple, at companies supported by Apple and the economy created by Apple products. Suppose, when Jobs revamped and shrunk Apple's product line, he needed employees to vote in order to get rid of each product? It, of course, would have been impossible. But this is what we have when government goes where it doesn't belong, getting into businesses like providing retirement services, health care, housing and education. Even if programs work for a while, times inevitably change. Businesses can adjust. Government can't. Changing Social Security, Medicare, Medicaid, public education and government housing policy today is about politics, not good economic decisions. So we're stuck pouring billions we don't have into programs that don't work. Capitalism is not about being "on your own," as we hear so often from liberals. It's about entrepreneurs, like Steve Jobs, being free to create prosperity by serving their fellow citizens with innovative ideas and products. And it's about government doing its proper job -- protecting life and property -- so this can happen.